Led by key rookie cards for Nolan Ryan and Johnny Bench, the 1968 Topps Baseball checklist is loaded. 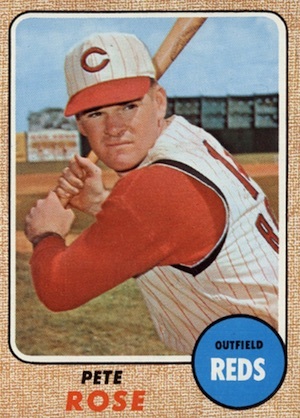 While the '68 design earns a mixed reaction from the hobby, and many view it as one of the weaker vintage options from Topps, interest remains very strong. Shop for 1968 Topps cards on eBay. 1968 Topps Baseball features a small decrease in the size of the checklist from the previous year, dipping down to 598 cards. Measuring the standard card size, the set is filled with superstars, future Hall of Fame players and one of the most pursued rookie cards of the post-war era. 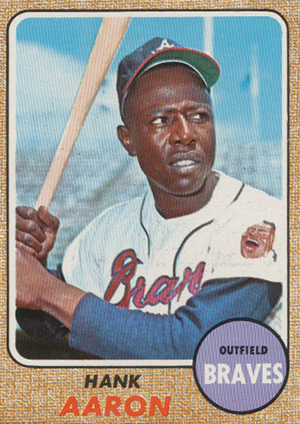 Unlike '67 Topps, the 1968 Topps Baseball design seemingly draws attention away from the photography, utilizing a speckled, dot-matrix frame that actually fills a large amount of the card. 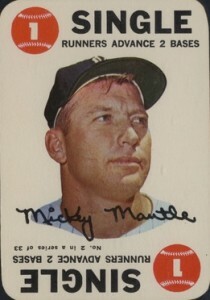 A white and black border with rounded corners highlights the depicted player image and the player's name is listed at the bottom of the card. Finally, an off-set colored circle on the lower right-hand corner houses the player's fielding position and team name. Collectors will notice that the first series cards feature a framed design with less dots and later cards have a more filled-in look. Card backs are more traditional, with a vertical layout and filled coloring. 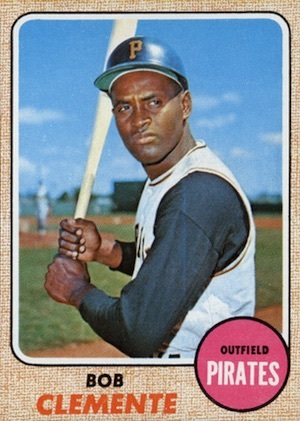 Featuring season-by-season stats, the 1968 Topps Baseball cards are essentially yellow, but have a more gold/orange tint compared to other versions. Continuing a trend from much of the decade, 1968 Topps Baseball features several familiar subsets, including League Leaders (#1-12) and World Series Highlights (#151-158). After a hiatus, The Sporting News All-Stars subset (#361-380) returns with a dedicated run of cards. Additionally, collectors can find Rookie Stars, themed combo cards, checklists and team cards. 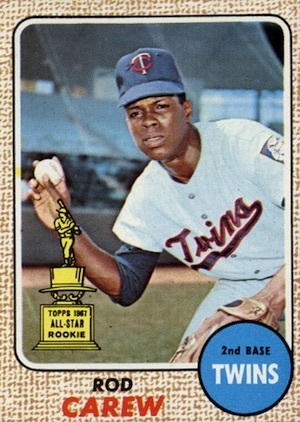 Much to the disappoint of collectors, the multi-player Rookie Stars cards largely pair the future Hall of Fame players with journeymen who have little-to-no collecting appeal. 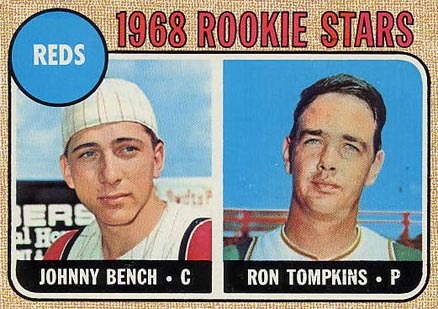 For example, Johnny Bench's rookie card finds him paired with Ron Tompkins, a pitcher with a career record of 0-2 over only 50 innings pitched. 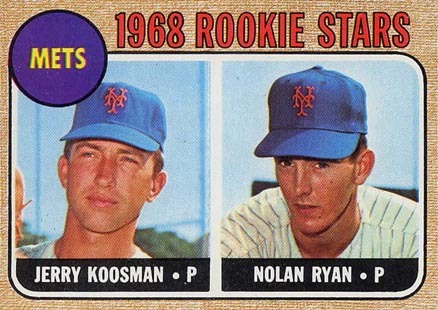 However, Nolan Ryan's rookie card is even more coveted due to the fact that it features him alongside Jerry Koosman, a fellow rookie and Ryan's teammate. Koosman was a star pitcher in his own right. He amassed a career record of 222-209, with a 3.36 ERA and 2,556 strikeouts over 19 seasons. Paired with Ryan, whose career stat line was 324-292, with a 3.19 ERA and 5,714 strikeouts, this is arguably the best multi-player baseball rookie card ever produced. There are a handful of known variations, several of which are related to the color of the lettering used in the team name. The yellow versions for Ed Brinkman (#49) and Casey Cox (#66) carry a significant premium, along with the white team version for Mike McCormick (#400). Also, many variations deal with checklist card updates, but these don't yield the same value bump. 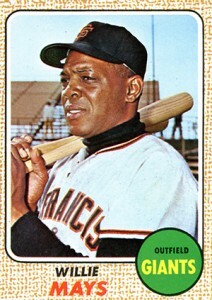 When taken into account, the variations bring the 1968 Topps Baseball master set to 608 total cards. Measuring 2-2-1/4" x 3-1/4", the sole insert in 1968 Topps Baseball is part of card game. The Game insert totals 33 cards that showcase a similar look to a deck of playing cards and harken back to the birthplace of Topps. Each card includes a colorful player image, facsimile signature and specific play that corresponds to the game. Each of the Game card backs include a blue design. 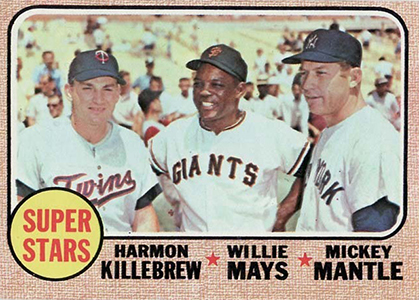 The 1968 Topps Baseball design is widely regarded as being one of the worst of the era. Regardless of where you stand on the set's aesthetic appeal, the design does an excellent job of masking card damage and imperfections. Despite that characteristic, some of the star cards can be difficult to find in high grade. As is customary, the high-number series cards (#498-598) are a bit more difficult to find and do yield a slight bump over cards from other series. Similar to other Topps Baseball sets from the era, a Venezuelan release acts as a partial parallel and includes the first 370 cards in the main set. There is also a Canadian O-Pee-Chee version (#1-196). 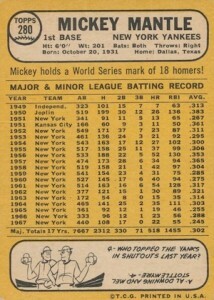 Lastly, several cards were issued in Win-A-Card, a Milton Bradley game, with the same design as 1968 Topps Baseball. The skip-numbered set includes 77 cards from the first two series of '68 Topps, including the Nolan Ryan rookie card. They can be distinguished from the main cards based on the more vivd yellow back, white line on the front edges and thickness of the front border frame. 1968 Topps Game #5 Harmon Killebrew SGC 84 NM RARE OUTSTANDING! 1968 Topps #323 Deron Johnson Braves 1st Base SGC NM M Condition Slabbed. 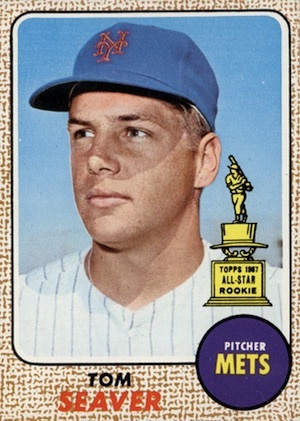 1968 Topps Mickey Mantle Beckett BVG 7.5 Card #280 "GOLD LABEL"
154 World Series Game 4 - Gibson Hurls Shutout! 155 World Series Game 5 - Lonborg Wins Again! 157 World Series Game 7 - St Louis Wins It! 158 1967 World Series Summary - The Cardinals Celebrate! IMO, this starts out what I like to term “the ugly era, which lasts until 1990 (with a few exceptions).” It’s a three-star rating, because as the description says, it has several excellent names in the checklist. It is also before the truly mass-production era of the 80s begins. Otherwise, I would have rated this as 2 stars. The main problem I have is the black air brushed hats for the A’s & Astros. 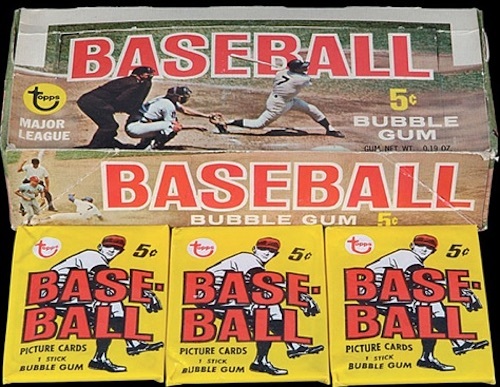 The 1968 Topps set is one of the easiest sets of the 1960’s to complete, although it could be challenging to get all the cards in the high number series (like in the other Topps sets from the 1950’s and 1960’s). 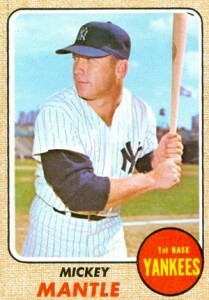 Fortunately, I completed the 1968 set in the mid-1980’s, at a time when old baseball cards were a lot cheaper back then. The 1968 and 1969 sets are very similar in design.